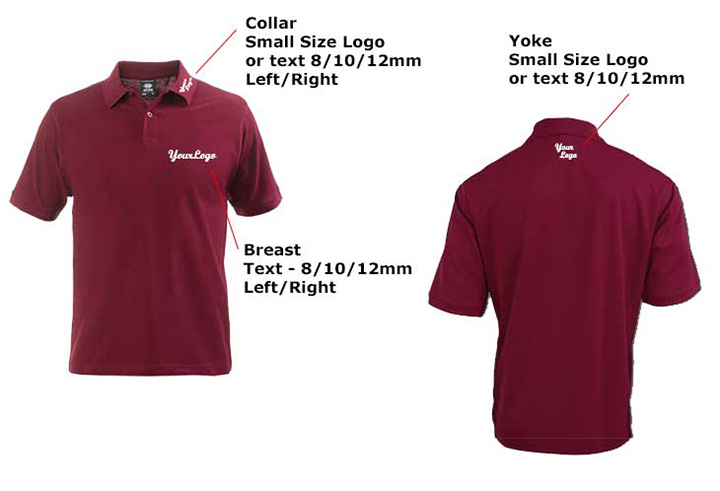 - The perfect way to get your company name or logo onto your clothing in a wide range of hard-wearing, colourfast options. Colours and shape to your specification - standard sizes shown below, but please discuss any special requirements with us at sales@belmegbespoke.co.uk or visit our quote page. 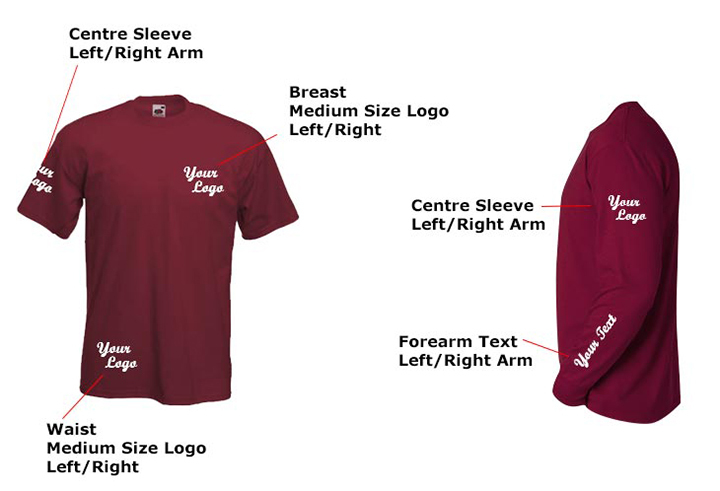 *Please note a one off setup fee may apply to embroidery orders and applies to your first order for a new design or logo. Setup fee will depend upon sight of artwork. 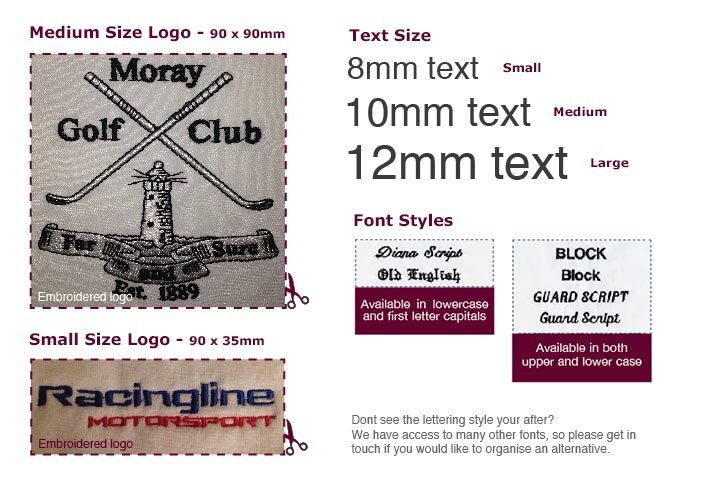 Discounts available for multiple embroideries or bulk orders. Price is for embroidery on BelMeg supplied garments, for customer supplied garments prices may vary. - Add a really personal touch - tell customers who you are! Perfect for staff names or departments. Three standard lettering sizes available - Small, Medium and Large. These are the most popular lettering sizes. However, please discuss any custom requirements with us. We are able to produce any size and shape. *No setup charge. Subject to position. Cost applies for up to 25 letters. 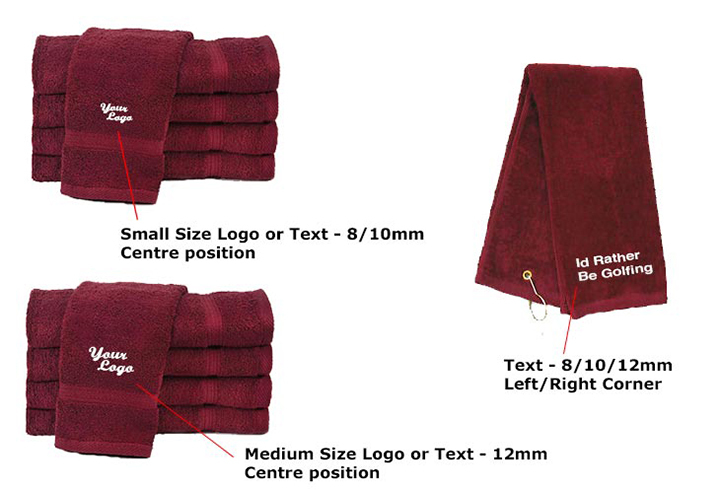 Price is for embroidery on BelMeg supplied garments, for customer supplied garments prices may vary. Discounts available for multiple embroideries or bulk orders. 1. Set up charges may apply. 2. 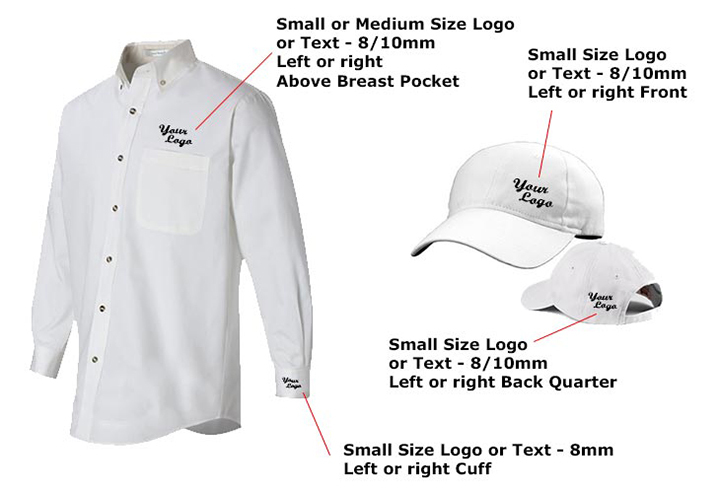 Embroidered items are non-returnable and any costs incurred during production will be charged. 3. Amendments to existing embroidery or screen print templates may be charged extra. 4. Delivery time is dependent on size, volume and complexity. Please allow a minimum of 7 days from available stock and approval of artwork. 5. All text to be supplied in writing. All logo’ s or images to be supplied as high resolution JPEG files or vector files. 6. Samples will be supplied at cost and are non-returnable.